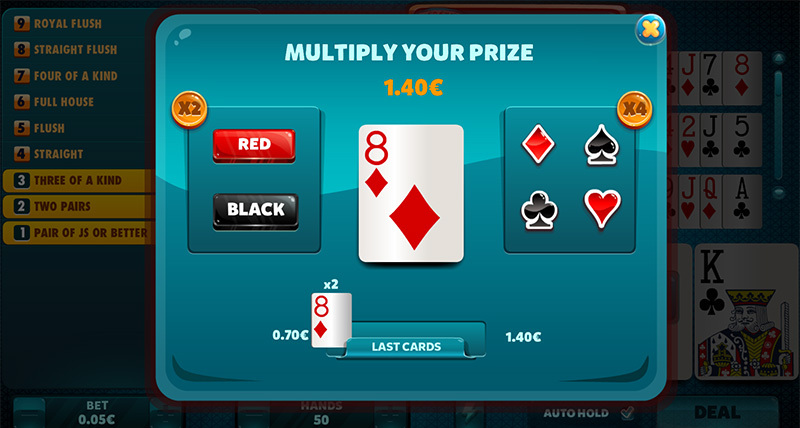 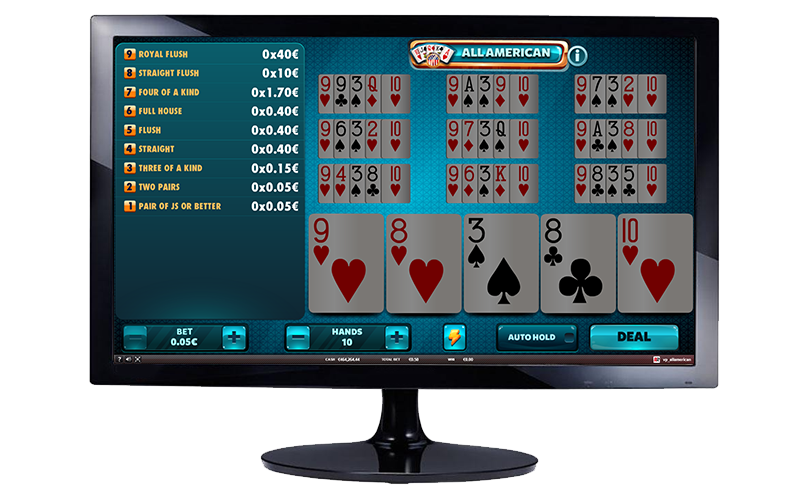 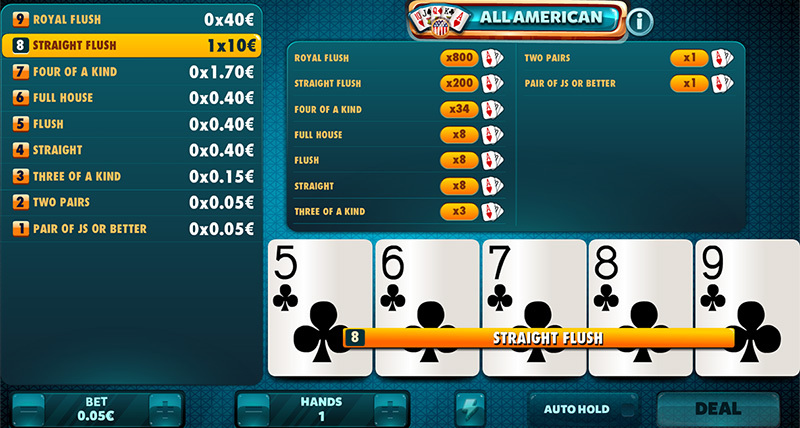 A format very similar to “Jacks or Better” where you have to look for the best combinations of a “Colour Straight”, “Straight” and “Colour” in order to win the best prizes. 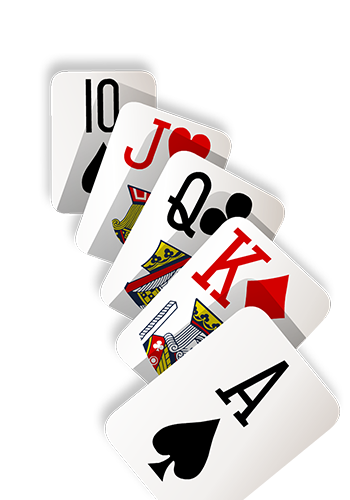 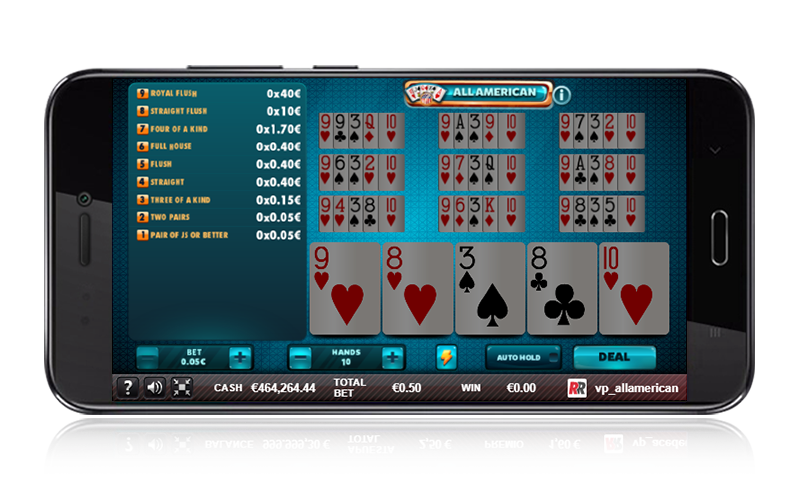 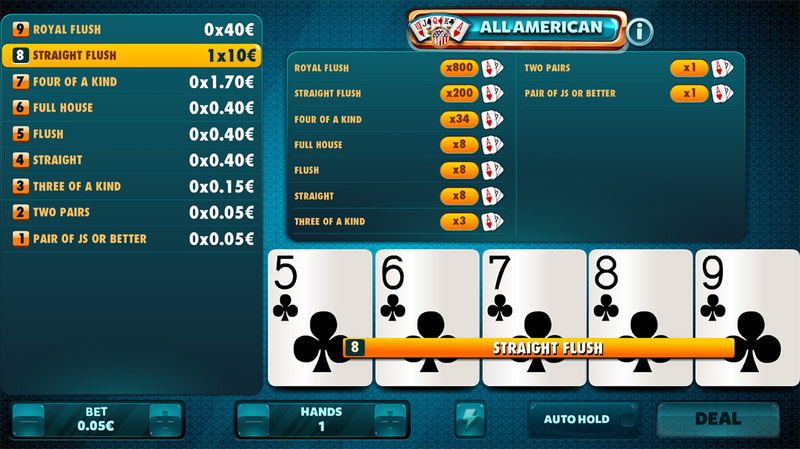 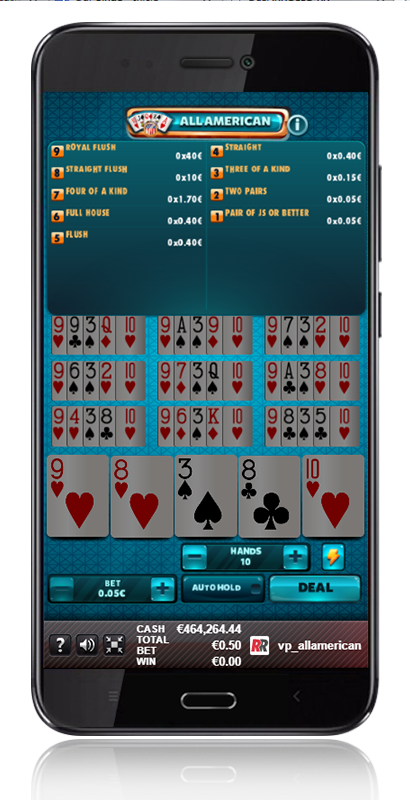 On the other hand, the “Full House” and “Two Pair” hands will somewhat lose their value. 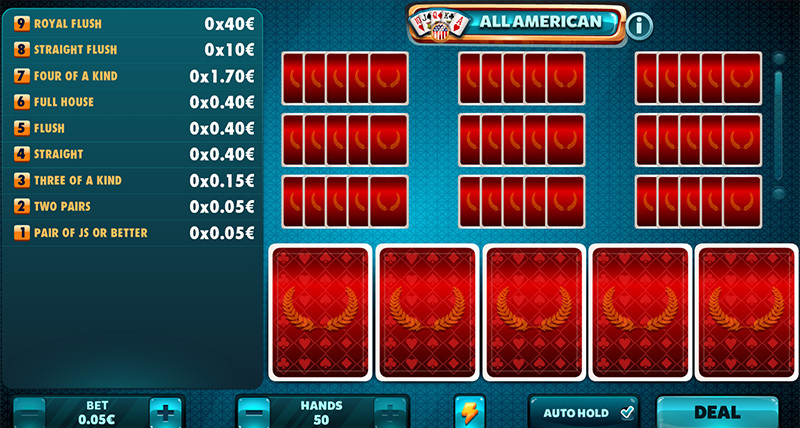 All American: Look for straights to win the best prizes. 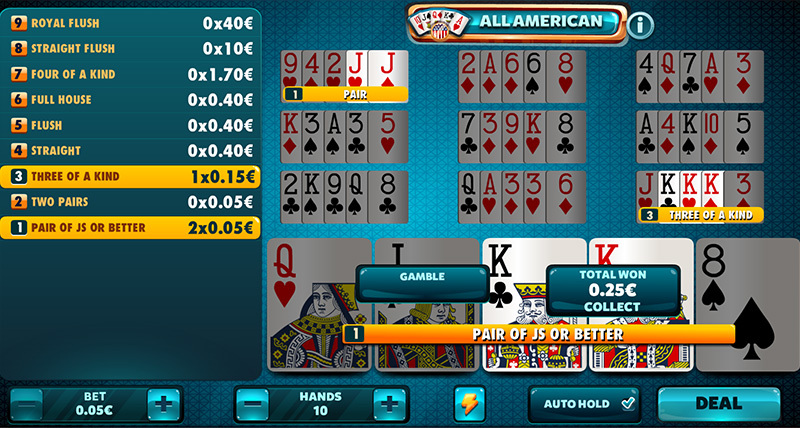 All American: Any hand equal to or higher than a pair of Js will have a prize.